High productivity is essentially dependent on a company’s employees. 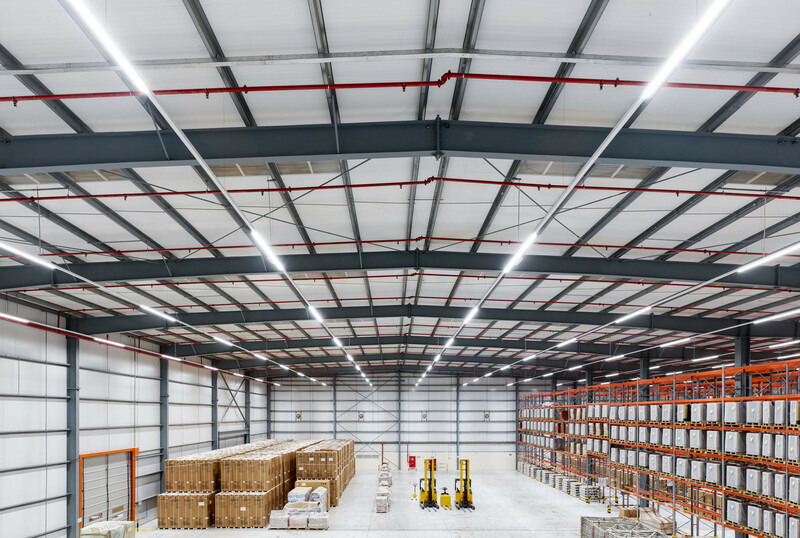 The right lighting at the workplace helps to enhance staff members’ performance and motivation as well as their sense of well-being – this applies to shift workers in large industrial bays as well as to specific manufacturing areas. 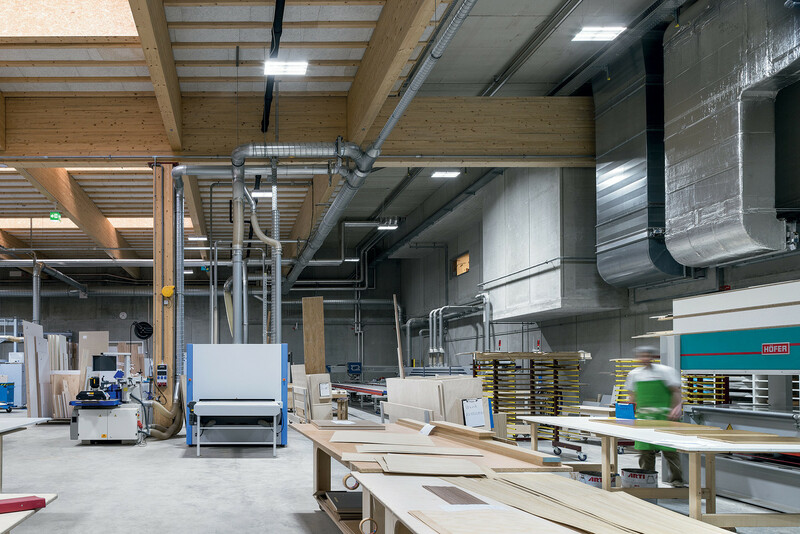 Used properly, an advanced lighting solution helps to optimize conditions at workstations in manufacturing bays, increasing motivation and preventing fatigue and, thus, industrial accidents. In addition to manufacturing, the importance of logistics is growing steadily in modern business. The quantity and quality of goods and services present ever new challenges for businesses. The distances are becoming greater, the delivery times shorter and increasingly more products require cool storage. 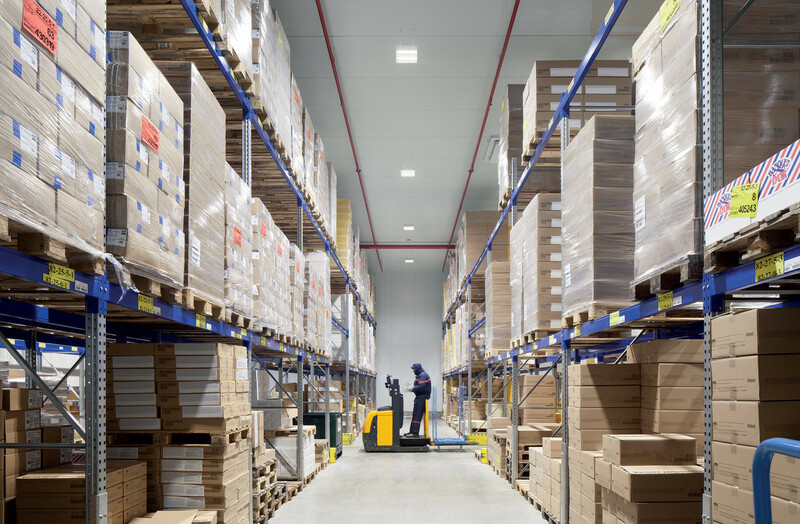 Logistics halls in many cases have immense volume, and the energy requirement for lighting is accordingly high. 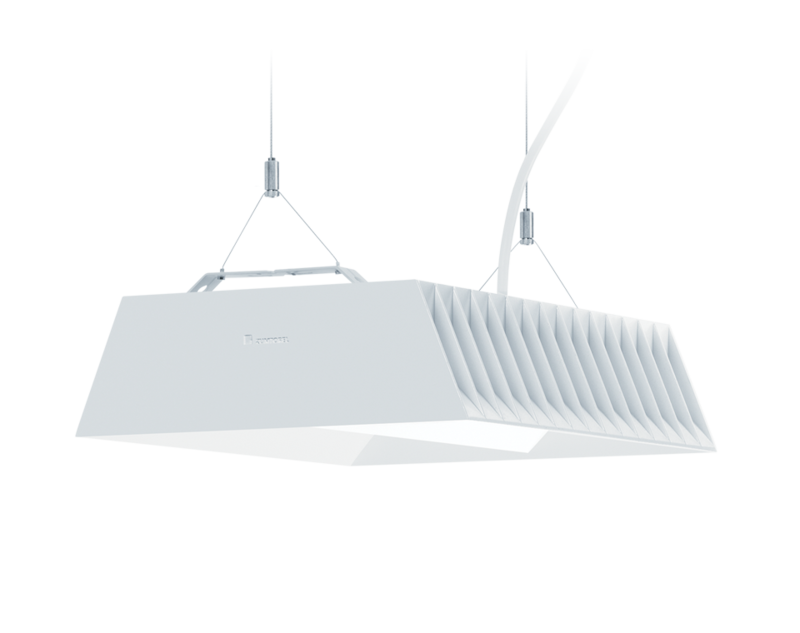 The most effective means for reduction of the running operating costs is an efficient lighting solution that minimizes both the power consumption as well as the maintenance costs. Former foundry as a car workshop, laboratory and museum. Sustainable production technologies are becoming increasingly important in almost all industries worldwide. Companies are putting in place measures to increase resource and energy efficiency and also to optimize production processes, procedures and energy sources. Industrial applications have huge potential in environmental and economic terms and when it comes to human factors. There is often external pressure as well: many industrial buildings need to be modernized to meet applicable energy requirements. 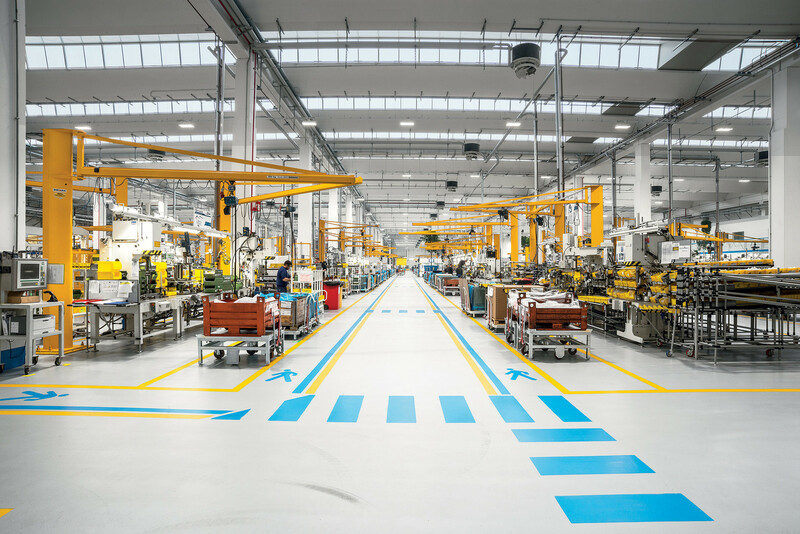 Increasing automation brings fast, precise workflows, and the requirements placed on activities that involve demanding craftsmanship are becoming more exacting. 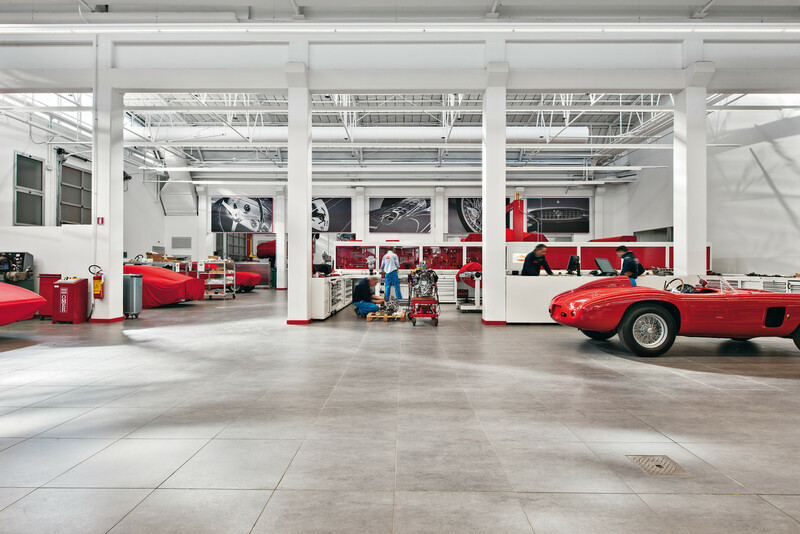 A space needs to cater for a variety of usage scenarios and requirements in order to take both these aspects into account. 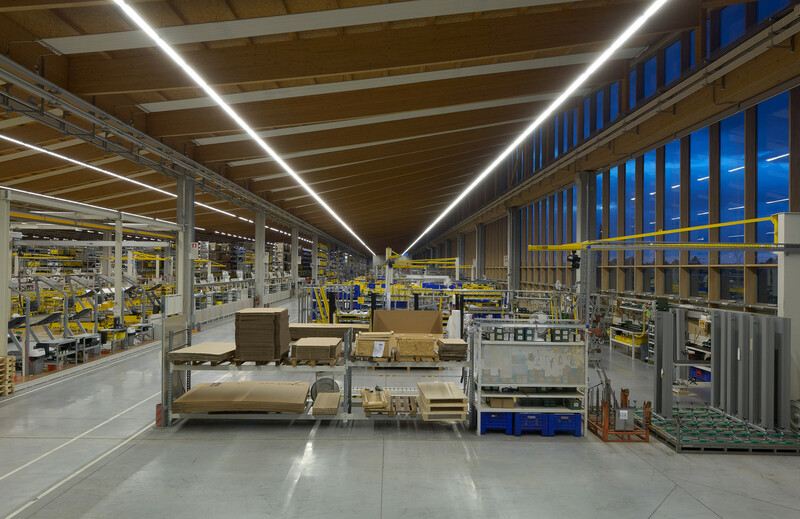 Different ceiling heights, temperatures and degrees of automation demand functional flexibility. Not only that, industrial architecture and the image that industry seeks to project are witnessing radical change. Transparency is a sign of a company’s strength when it comes to public relations. Cleanliness and innovation are inner values of the future. Economic conditions demand production increases, more efficient work flows, improved organizational structures, technological progress and as few faults as possible. Productivity is a long-established concept but is only now giving rise to a complete rethink in many industries. Nowadays, more capital and labor are being invested in optimizing productivity from the ground up. To accomplish this, working environments, working conditions and processes are being redefined. Whereas in some industrial enterprises extreme temperatures, humidity and vibration represent major challenges, in other companies extreme precision or conscientious attention to hygiene is the order of the day. The measures to ensure maximum reliability are as different as the industrial facilities themselves. 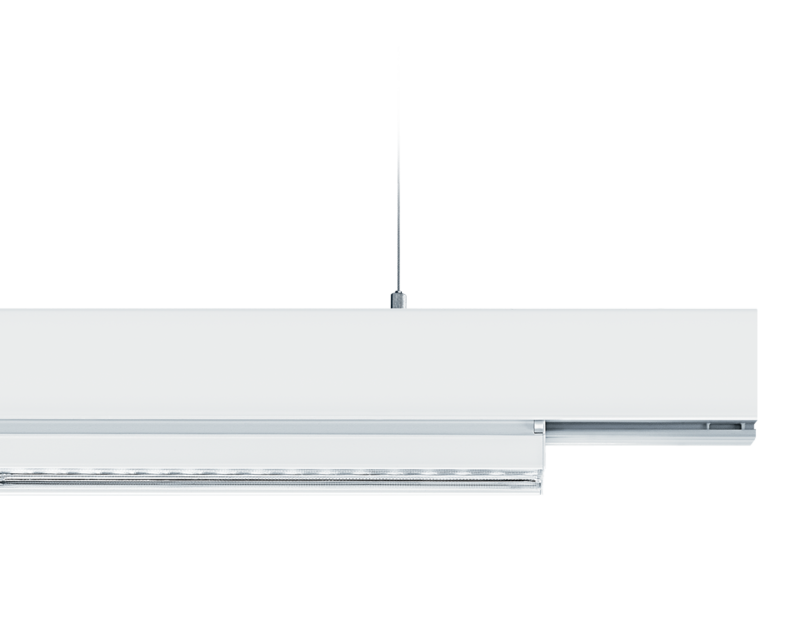 The lighting should work at all times regardless of environmental influences, including during power cuts. Reliable emergency lighting prevents disorientation and shows the escape routes to the open air. People frequently ask about an increase in productivity in case of improved working conditions. Light is a decisive factor in this respect. For light not only causes an improvement of visual conditions, but it also has an effect on unconscious biological functions. Moreover, light is always an emotional factor. In order to also provide scientifically sound evidence for an increase in productivity, not only production figures are analyzed, for these cannot directly be attributed to good lighting. Accordingly, in this study, much more comprehensive methods are applied to capture the effect of light on human beings. It is noteworthy that even standard conditions allow the work tasks to be exercised impeccably and without any complaints. It is all the more pleasing that improved lighting has a positive effect on people’s sleeping pattern during the night and on the reduction of unit lead times – and accordingly contributes to increase productivity.